From its inception in Greek antiquity, the science of optics was aimed primarily at explaining sight and accounting for why things look as they do. By the end of the seventeenth century, however, the analytic focus of optics had shifted to light: its fundamental properties and such physical behaviors as reflection, refraction, and diffraction. This dramatic shift—which A. Mark Smith characterizes as the “Keplerian turn”—lies at the heart of this fascinating and pioneering study. Breaking from previous scholarship that sees Johannes Kepler as the culmination of a long-evolving optical tradition that traced back to Greek antiquity via the Muslim Middle Ages, Smith presents Kepler instead as marking a rupture with this tradition, arguing that his theory of retinal imaging, which was published in 1604, was instrumental in prompting the turn from sight to light. Kepler’s new theory of sight, Smith reveals, thus takes on true historical significance: by treating the eye as a mere light-focusing device rather than an image-producing instrument—as traditionally understood—Kepler’s account of retinal imaging helped spur the shift in analytic focus that eventually led to modern optics. 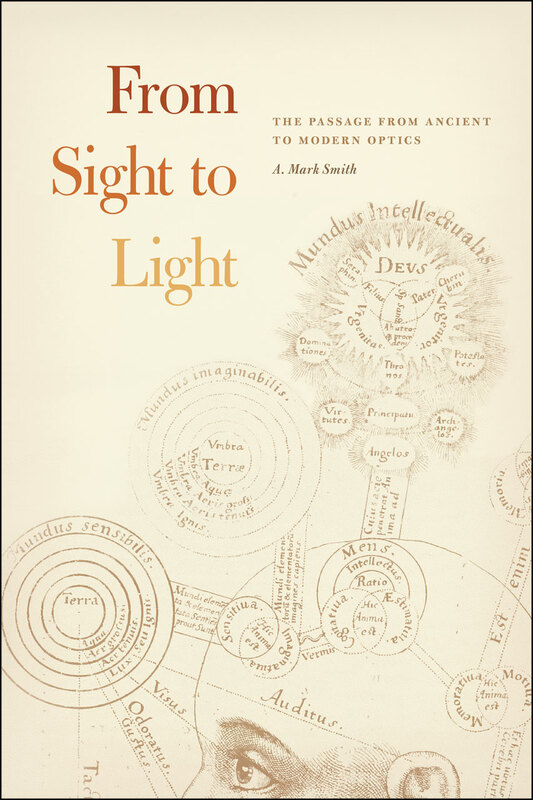 A sweeping survey, From Sight to Light is poised to become the standard reference for historians of optics as well as those interested more broadly in the history of science, the history of art, and cultural and intellectual history. "Absolutely delightful to read, with an elegance far exceeding that of the overwhelming majority of scientific papers. The book holds one's attention and is difficult to put down." "In what will surely become a canonical work, Smith surveys the development of optics in the Western world from classical Greece through Johannes Kepler. . . . Smith systematically guides readers through all major texts in the history of optics, at times in painstaking detail, making this book a valuable reference work. At the same time, he never lets the big picture recede into the background for too long, consistently and clearly articulating the larger textual traditions and conceptual innovations in his sources and weaving them into a coherent, engaging story and historical argument. Students and faculty alike—in fact, anyone interested in the nature and development of premodern optics—will need to consult this book. Essential." "A magisterial history of optics over the course of two millennia. . . . This is a must-read for anyone interested in the history of sight, vision, light, and the study thereof."